to show off their beautiful wall galleries from their sessions with me. with REAL examples of how you can decorate your home with custom portraits. Many thanks to the Ungerer family for being my first volunteers! and two 8×10 gift prints that they framed to accent the gallery wrap. and help you plan out the goals for your final images from our session together. or maybe it’s a beautiful wall gallery. Knowing where your pictures are going to go can help me plan out your session better. I knew we should avoid brick in the background of their picture to provide contrast of color and texture. 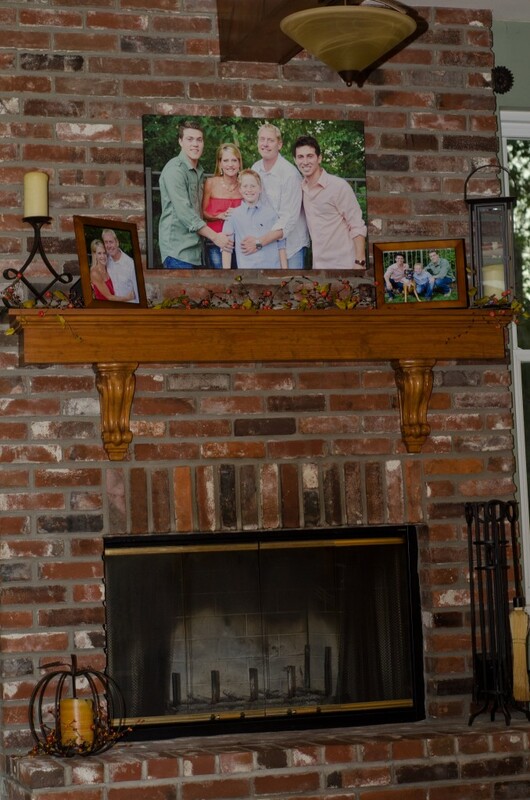 It even helped to know that we had to have a horizontally cropped picture to best fit the space above the mantle. 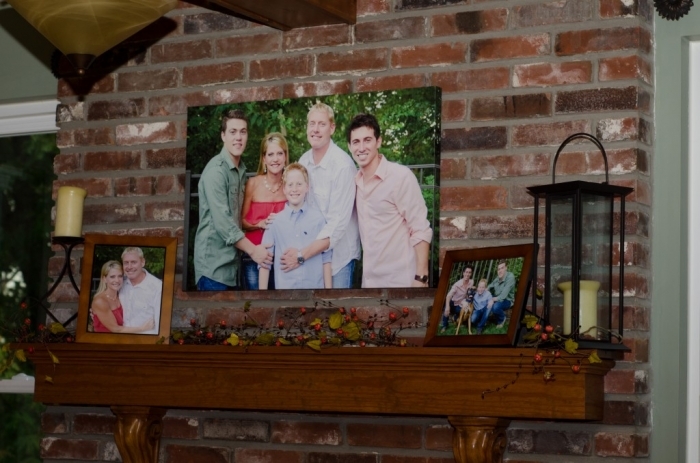 to show you what your new pictures will look like in your home before you even purchase them! The wall can be blank, or it can be an existing framed gallery, as was the case with the next client. Thanks again, Ungerers, for being my first volunteers! please contact me at info@LTMPhotography.com!